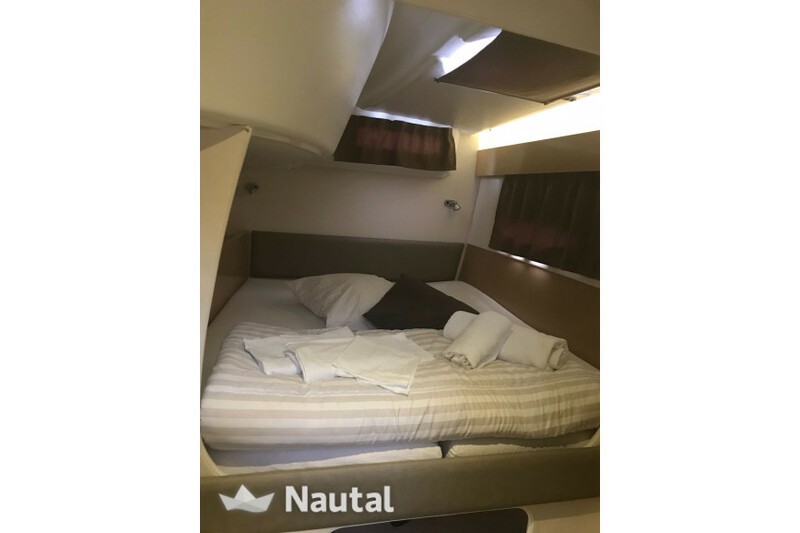 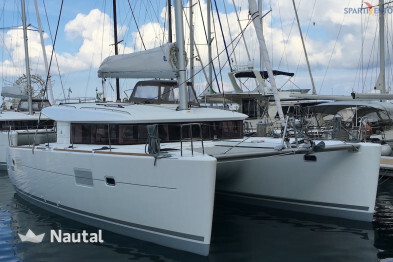 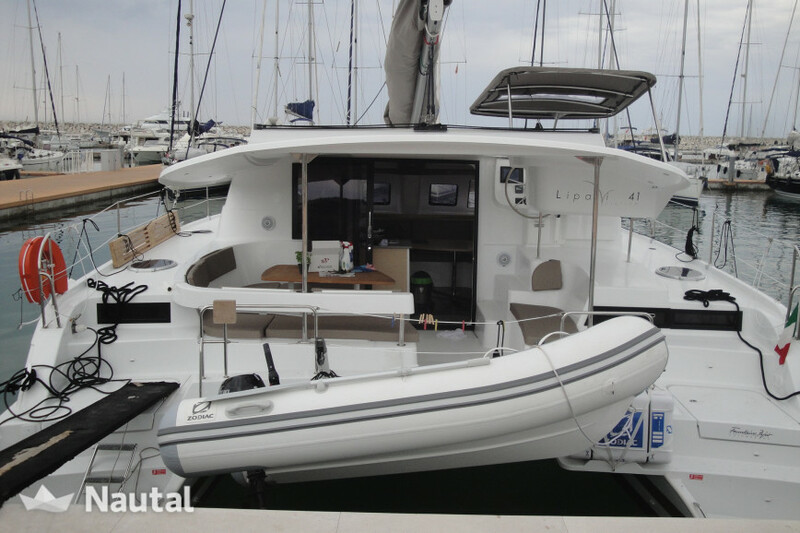 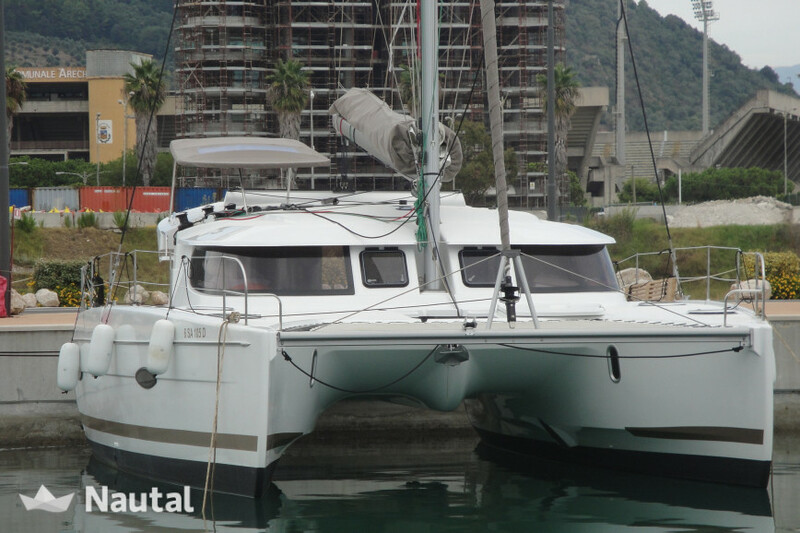 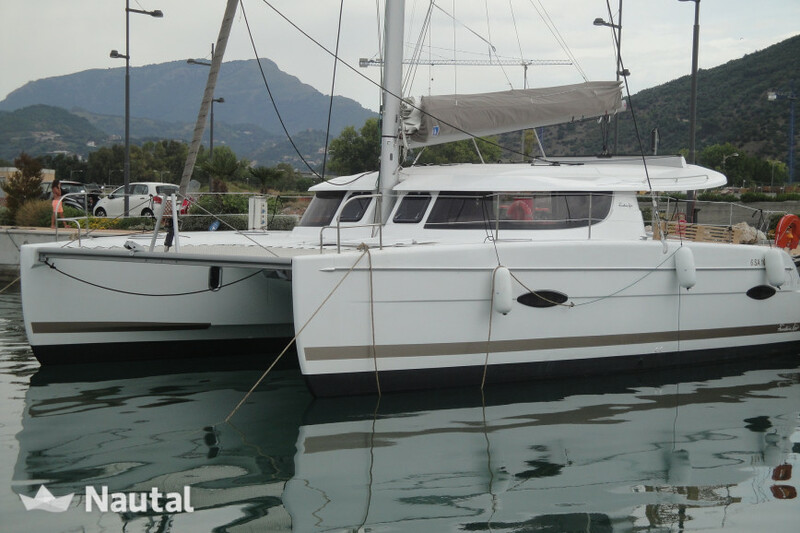 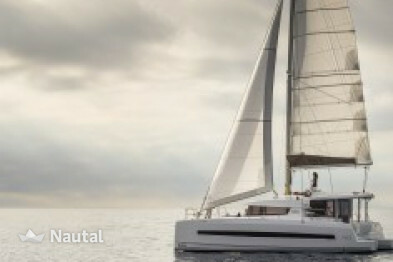 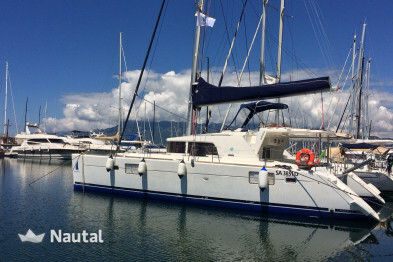 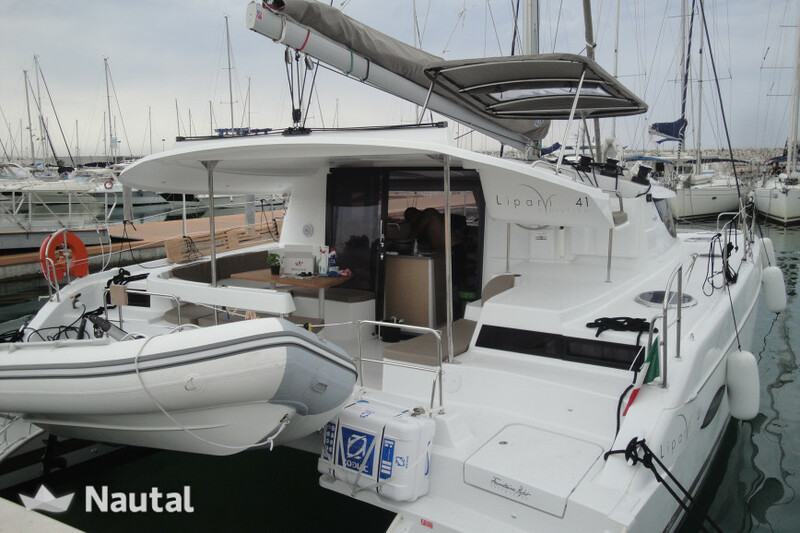 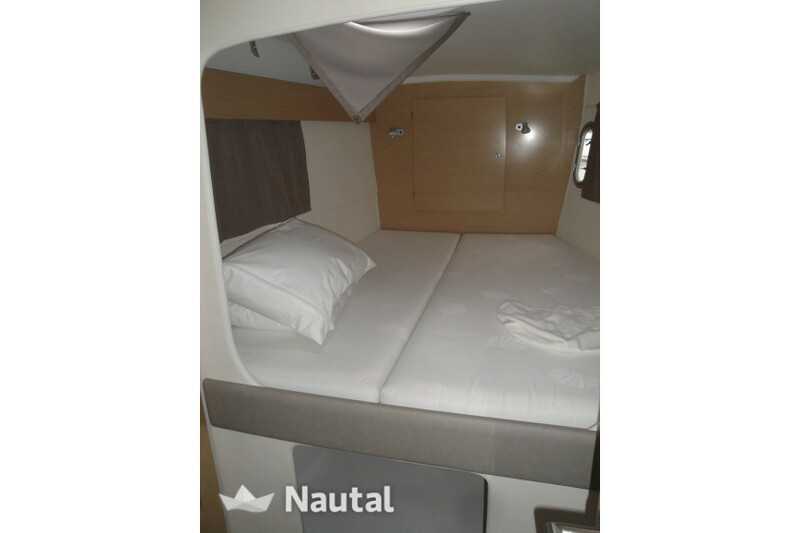 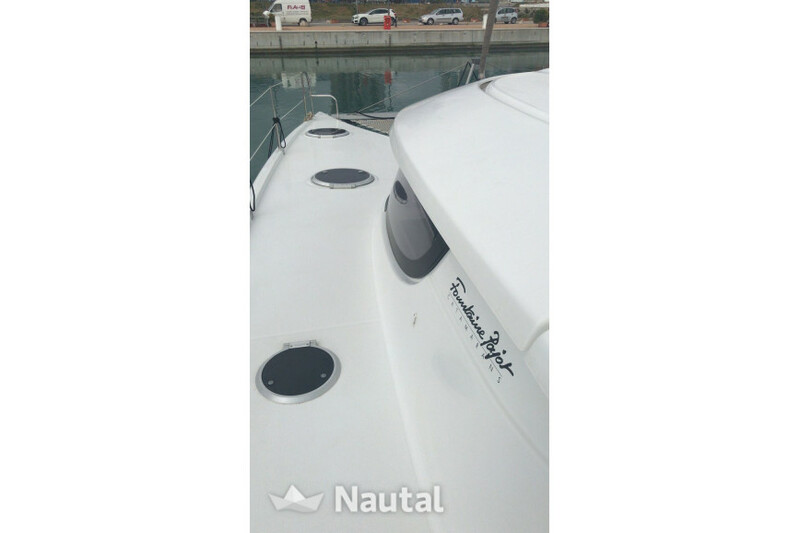 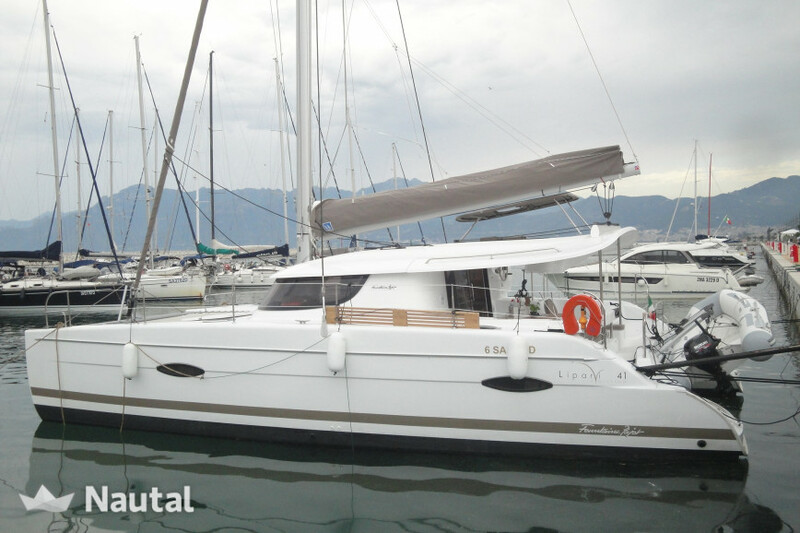 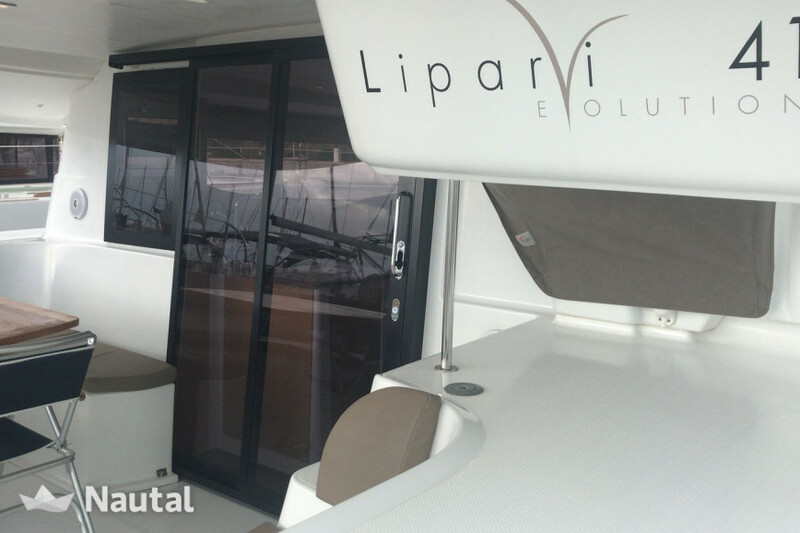 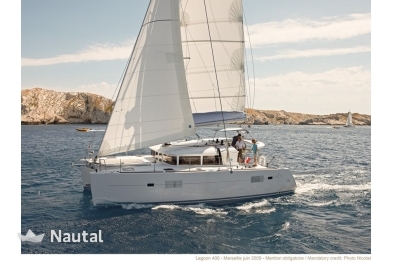 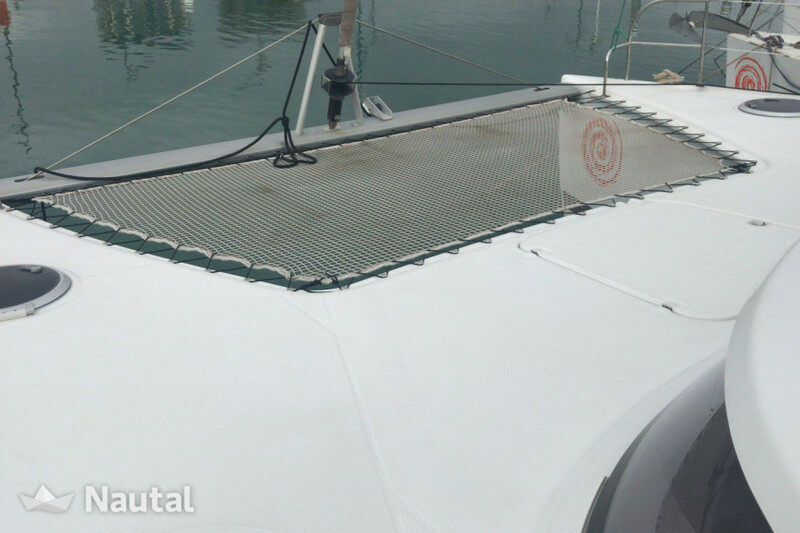 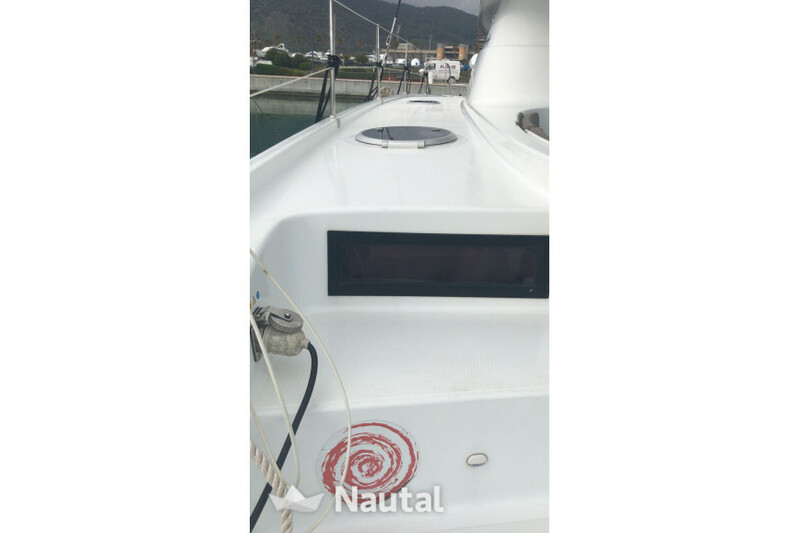 Rent now this beautiful catamaran with 11.95m length in Salerno Marina, in Campania, Italy! 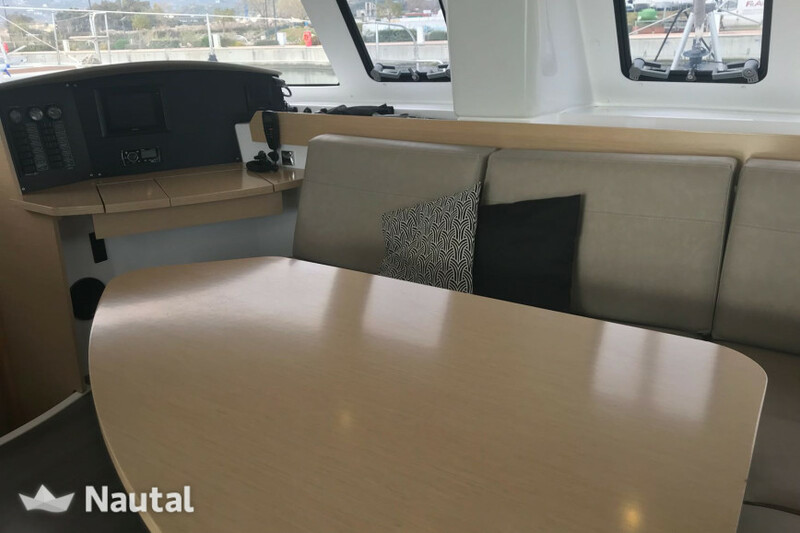 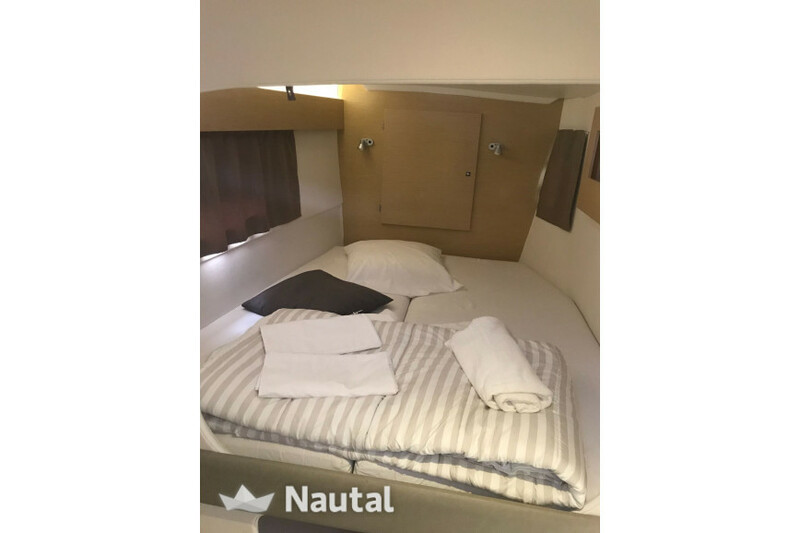 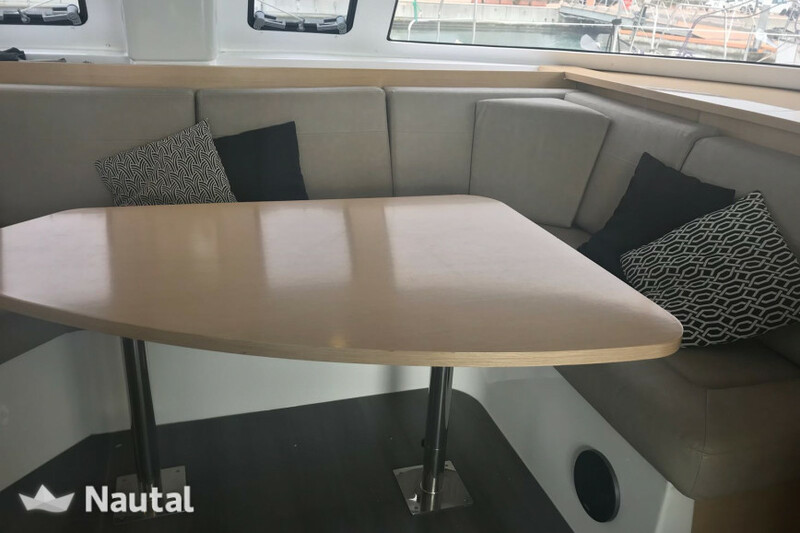 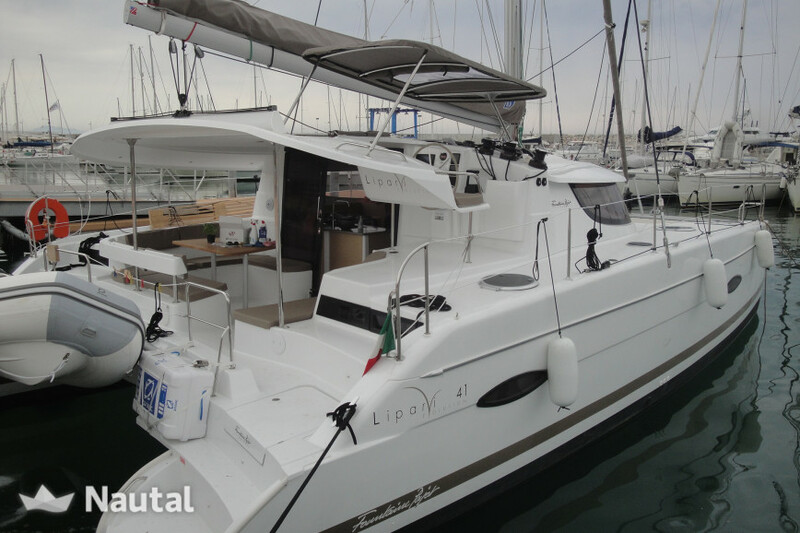 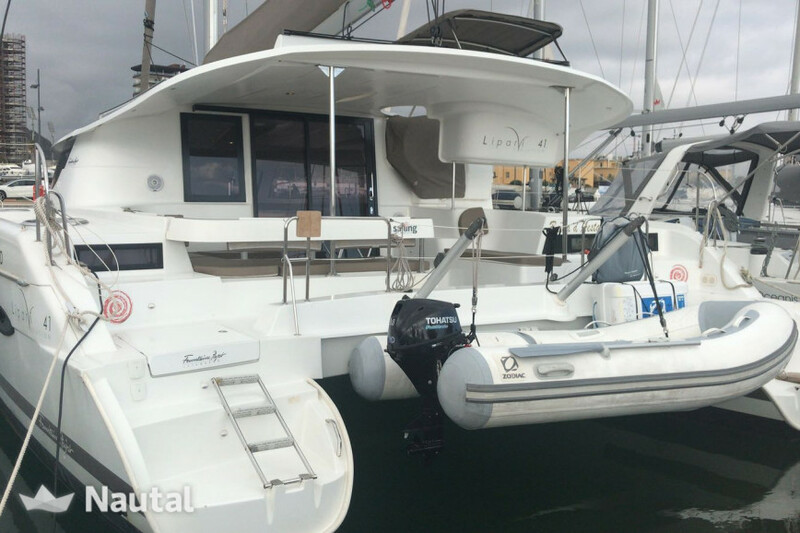 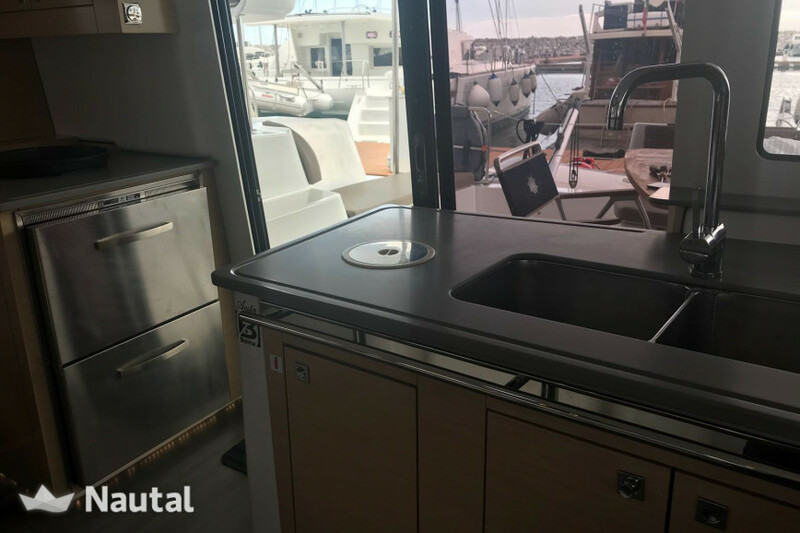 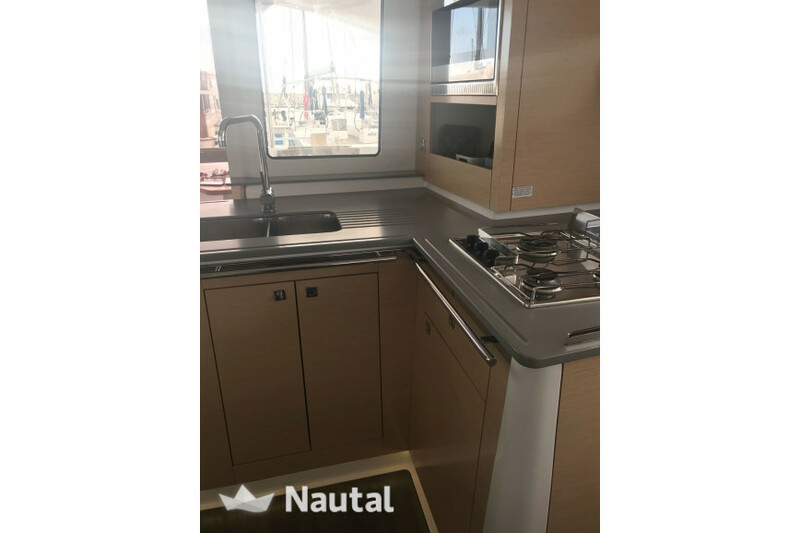 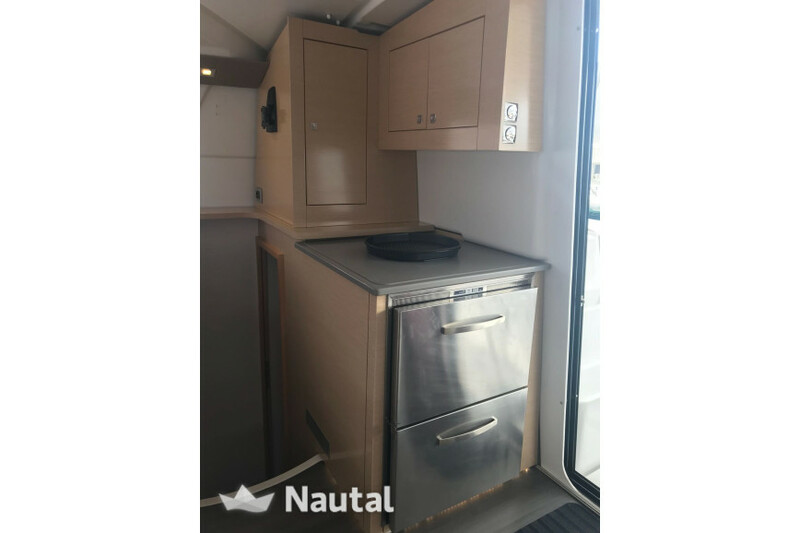 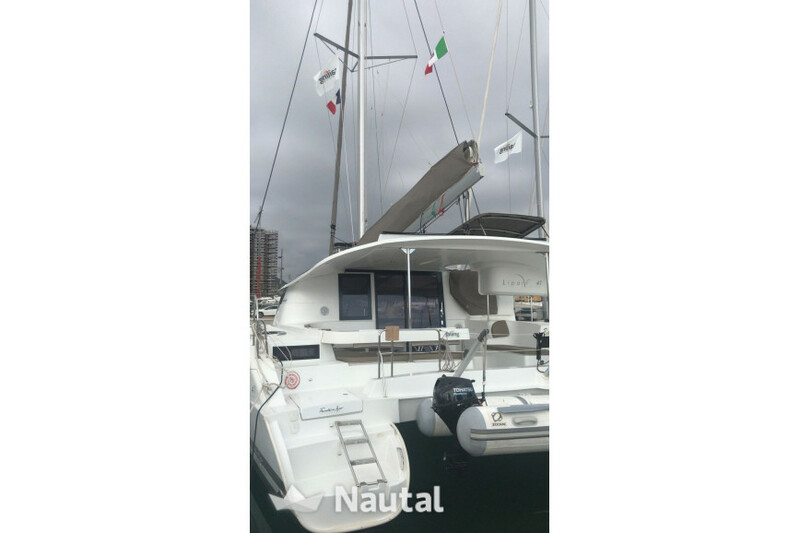 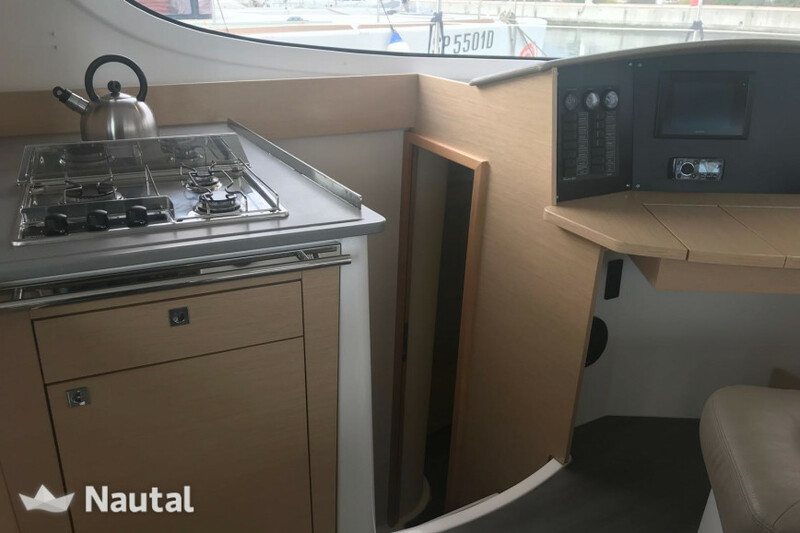 This Fountaine Pajot Lipari 41 is built to host up to 10 people on board in its 4 cabins and 2 bathrooms. 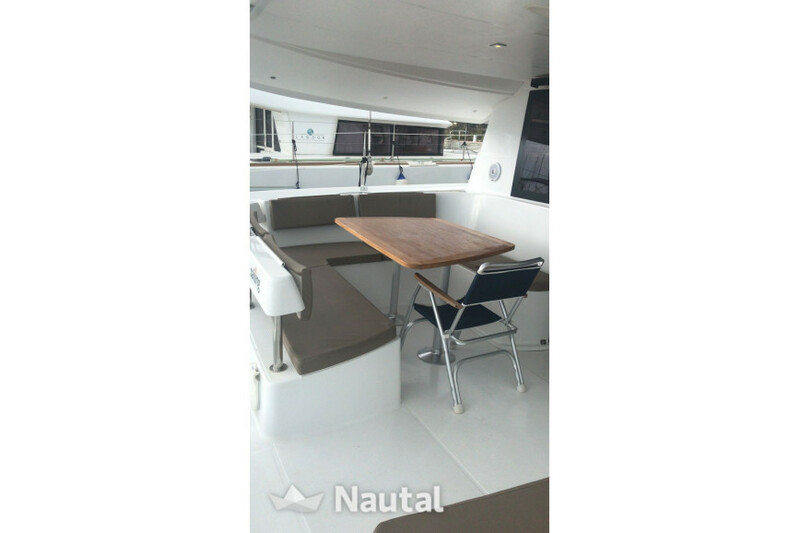 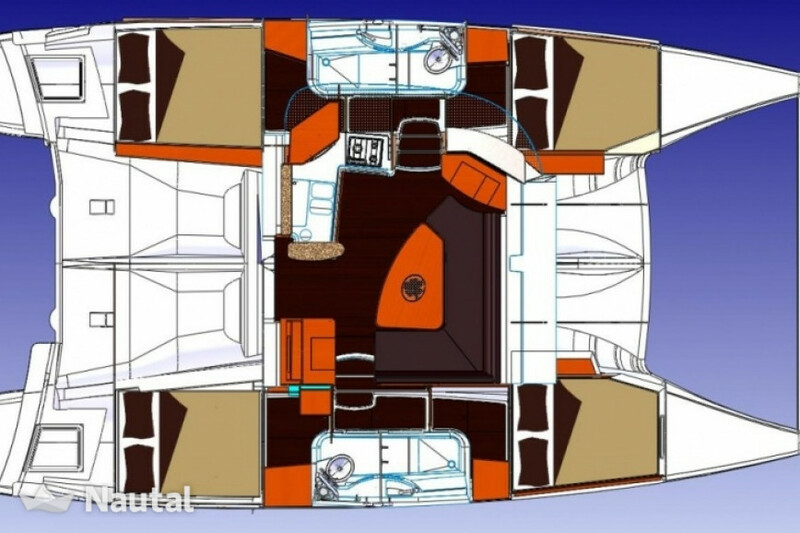 Offers a great space inside in its elegant living room, still kepping performances high thank to its 2x30HP engines. 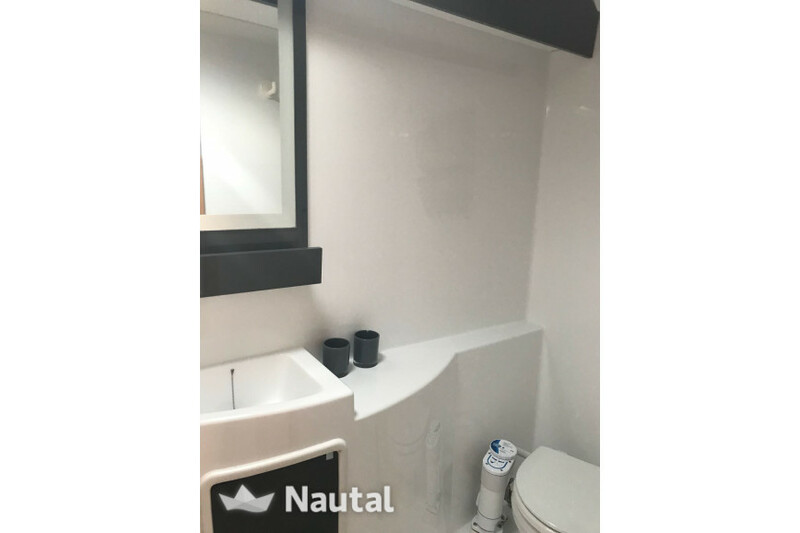 Rent it now and don't miss this crazy opportunity! 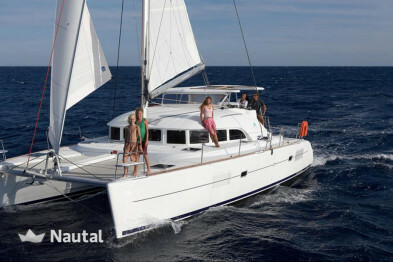 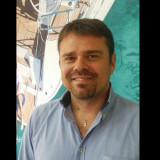 Further equipment: autopilot, chart plotter, GPS, log speed, VHF Radio, windspeed meter (anemometer), battery charger, CD player, bimini top, cockpit shower, cockpit table, electric anchor windlass, shore power cable (220V), steering wheel, dinghy, hot water and refrigerator. 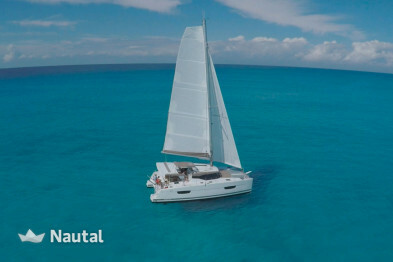 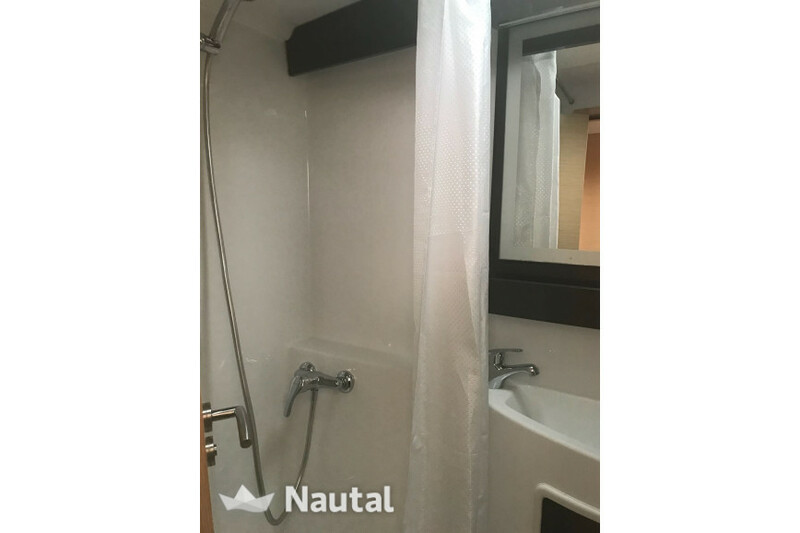 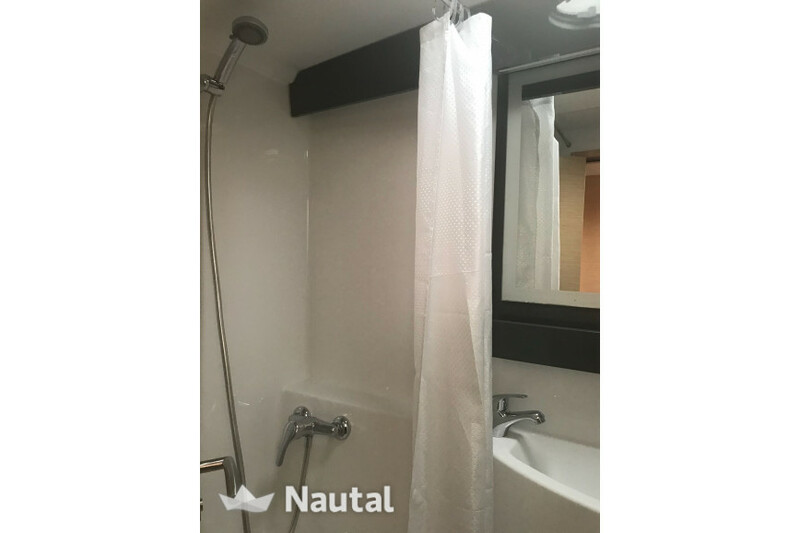 Special discount 14.50% From Apr 27, 2019 until May 3, 2019 (discounts cannot be combined) .